Better than new with an understated elegance rarely found in newer construction today, this beautiful seven bedroom home has been extensively upgraded in every corner. From the expresso hardwood floors to luxurious custom baths to a spectacular Master Bedroom suite with his & her dressing rooms to a backyard oasis that rivals the most exclusive resorts, vacationing away from home will be a distant memory. This is a home built for today's luxury home buyer ... be prepared to fall in love. 7 Bedrooms, 5.1 Baths, 2 1/2 Car Garage, open floor plan, custom upgrades throughout, spectacular heated in-ground pool surrounded by Travertine terraces and so much more. Click here to see the MLS listing and photos for this home. Additional information not found on the MLS can be found below. Experience the upscale lifestyle and understated elegance of this New York City-chic custom-built Short Hills home where luxury and leisure meet. Better than new, this 2012 residence exceeds its original construction with enhancements that include fabulous custom master bedroom closets, high-end bath upgrades, inground pool and amazing terraces that make this home so special. A gracious two-story entry foyer, high ceilings and wide entries, an open floor plan and a soft palette of neutral colors set against sleek espresso hardwood floors are designed with today's home buyer in mind. An open concept living room and formal dining room with a distinctive coffered ceiling afford seamless entertaining, connected by a butler's bar and pantry to the heart of the home -- a beautiful designer kitchen with top-of-the-line professional-grade appliances and large center island with seating, sunlit breakfast area and a fireside great room with floor-to-ceiling focal stone gas fireplace that together access a Travertine tile patio that spans the picturesque rear property. 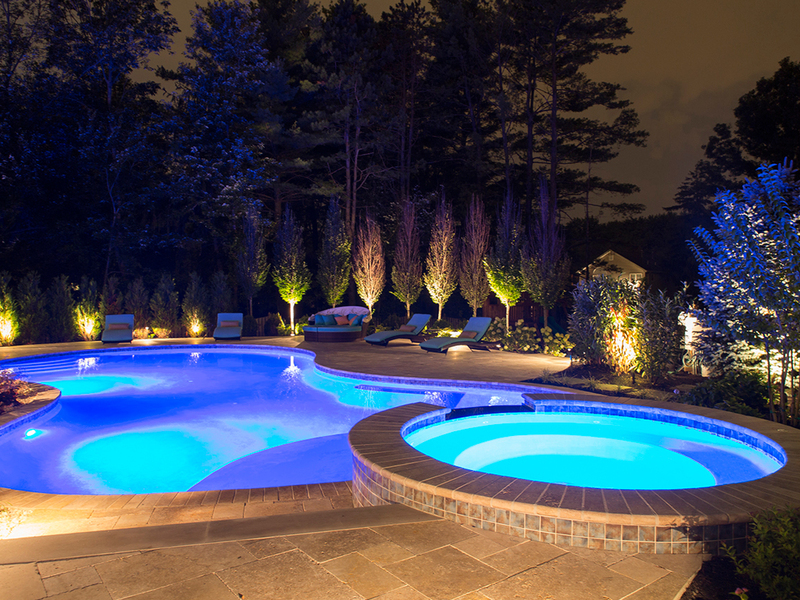 A free-form pool and spa with remote-control functions are the centerpiece of the private fenced yard, punctuated with privacy plantings and garden beds. An outdoor stone fireplace with input for a flat screen TV above tops the charts for the sports aficionado, accompanied by a summer kitchen with bar seating for the ultimate in al fresco entertaining. An ensuite bedroom and bath located nearby are ideal as guest quarters. A mud room with access to the two and a half- car attached garage adds convenience, while a first-floor home office/library with two walls of built-in bookcases and French doors off the front hallway enhances the home's cachet and versatility. 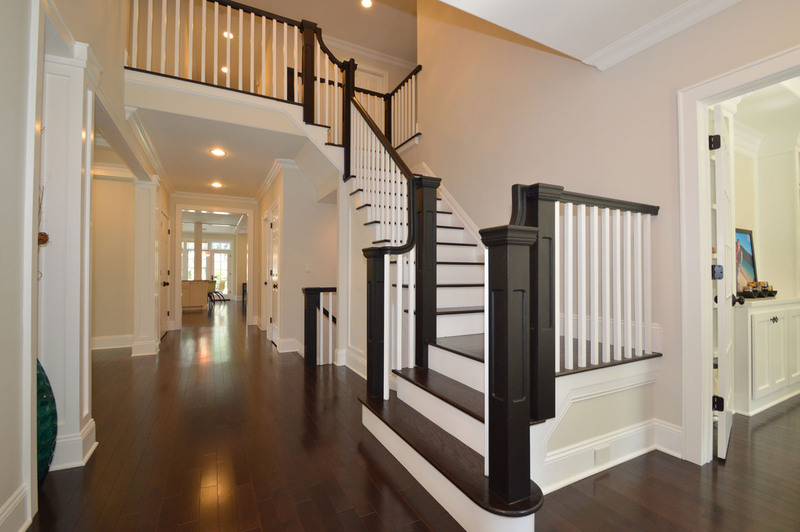 An open hallway on the second floor overlooks the foyer below and introduces well-appointed bedrooms with hardwood floors and walk-in closets in all but one. Four of the bedrooms are ensuite -- two pairs joined by sumptuous Jack and Jill baths. The romantic master bedroom is set off on its own, featuring a marble stone gas fireplace, tray ceiling with ambient cove lighting, hardwood floors and lofty picture-windowed property views. There are his- and her- room-size custom-fitted walk-in closets and a luxurious master bath that includes a double vanity, built-in boudoir, deep jetted tub, oversized steam shower and separate commode. All of the baths feature custom Porcelanosa tile. A well-equipped laundry center off the hallway is an added bonus, along with stairs that lead to a large private fully-carpeted third floor playroom/home office or exercise room -- buyer's choice! Extra leisure space is to be enjoyed in the expansive lower level, finished with high ceilings and neutral wall-to-wall carpeting throughout two spacious recreation and/or game rooms, an exercise area and an ensuite bedroom with adjoining bath and shower. Attractive extras include Hunter Douglas custom window treatments, underground sprinkler system, outdoor accent lighting, outdoor and basement sound system, central vacuum system, Generac back-up gas generator, and more.